When you go into your dentist's office for a routine exam, you may notice that for most of the appointment, you'll actually be seen by a hygienist. This is because dentists and hygienists have different roles and responsibilities. Learn more about the most important roles that your hygienist will have in keeping your teeth healthy. 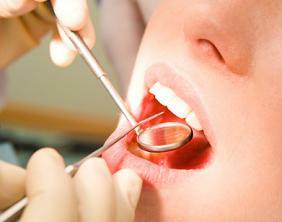 Your dental hygienist is primarily responsible for your professional dental cleaning. It is crucial to remove the hardened tartar that is found on your teeth and below the gum line, as you won't be able to get this substance off on your own. After the teeth are cleaned properly, your hygienist will also polish the teeth to remove plaque and scrub away surface stains. If you are in need of dental X-rays, your hygienist will likely be the one to take the actual image. This usually occurs at the start of your exam so that your dentist has the opportunity to review them before examining your teeth. The emergence of digital X-rays has made this process easier than ever, as your hygienist will simply need to insert a sensor into your mouth, and the image will show up on a computer screen for simple viewing. After your cleaning, your dental hygienist will likely have some suggestions on how you can better care for your teeth. If he or she notices a lot of tartar or that your gums seem prone to bleeding, you will likely be given tips on how to better clean your teeth. If you need to use any different products at home, these recommendations will also be made. If it has been awhile since you have visited the dentist, or if it is time for your regular checkup, contact our office to schedule. Your dental hygienist is waiting to clean and examine your teeth.